Thailand in Asia is a top tourist destination. 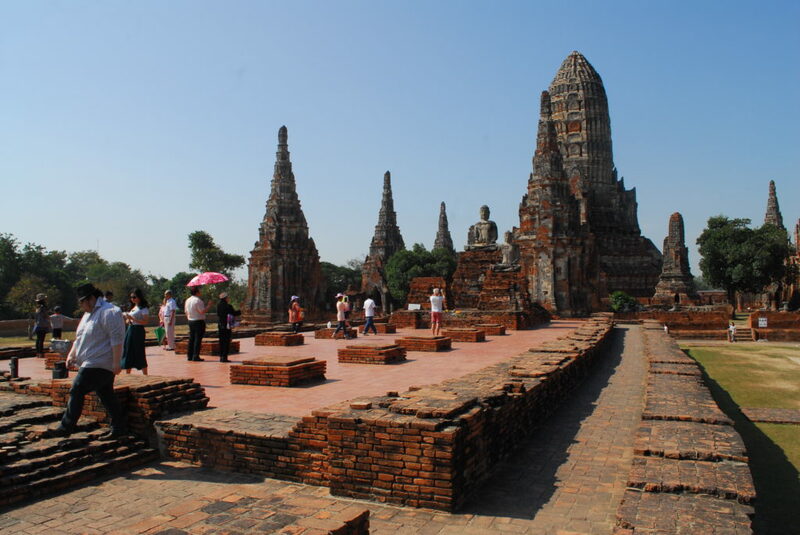 There is no dearth of sightseeing places to see in Thailand. There are about 15 tour operators of international repute that organize Thailand tour packages lasting anything from one week to 3 weeks. Once you complete reading all the extraordinary sightseeing attractions to see in Thailand, you will invariably end up buying a full three weeks Thai tour package. We will start with a temple visit, the most visited Buddhist temple in Bangkok that has been in existence since the 17th century. Chao Phraya River is an important river in Thailand, flowing through its capital Bangkok and on this river’s banks is the Wat Arun temple is located. Wat Arun attracts tourists and the local residents in truckloads throughout the day. In order to make them offer their sincere prayers, the Wat Arun temple is open from dawn to duck. 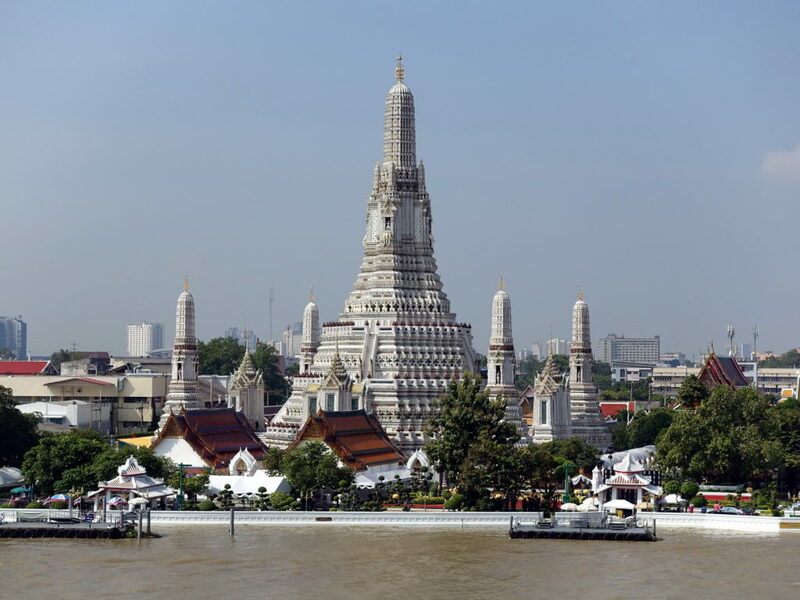 Every Thailand tour operators place Wat Arun at the top of the list of sightseeing places to see in Thailand. It is an arterial water body that flows through Bangkok. You can see how its banks are utilized to build skyscrapers housing hotels, commercial complexes, and entertainment malls. Chao Phraya River runs for 370 km and finally joins the Gulf of Thailand. One of the famous food outlets in Bangkok is eating the local cuisine from the floating food vendors on the Chao Phraya River. 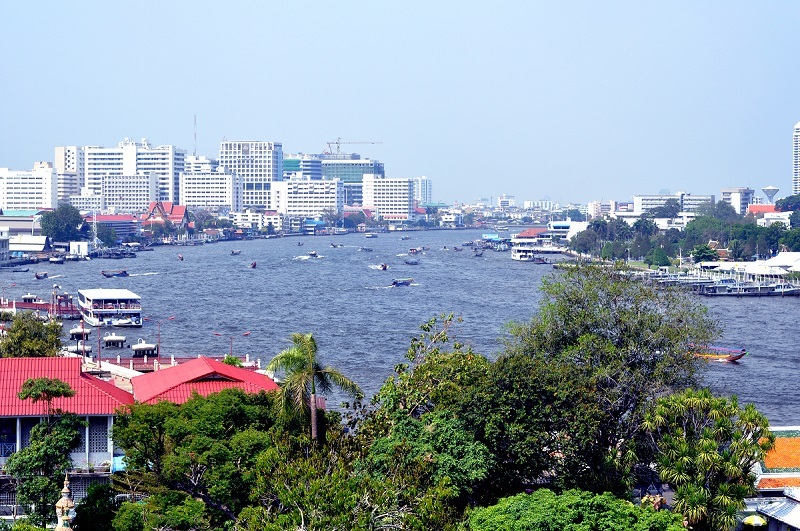 In addition, the river is extensively used by the people of Bangkok to move across the city. To meet their local conveyance needs, the ferries, river buses, and water-taxis ply relentlessly on the river throughout the day and late into the night. The nightlife in Thailand reluctantly ends at 4 am. As a tourist to Thailand, you must go on a pleasure ride in one of the water taxis on the Chao Phraya River. 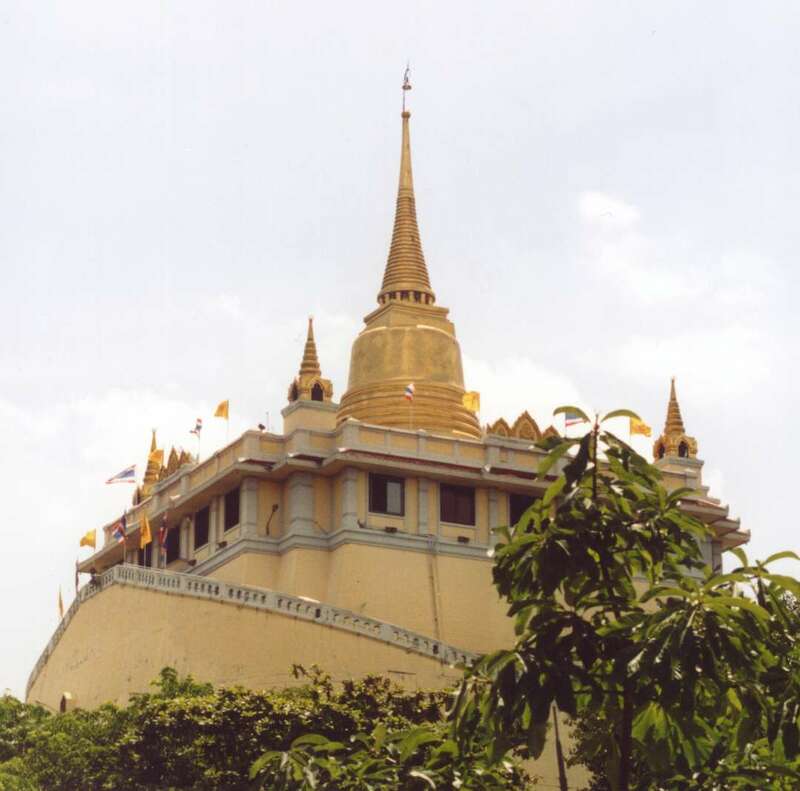 The second most visited Buddhist temple in Thailand’s capital Bangkok is the Wat Saket temple that carries another name “Golden Mound Temple’. This is a wonderful place in Thailand consisting of several wonderful Buddhist temples that are all thronged by the religious Thais. 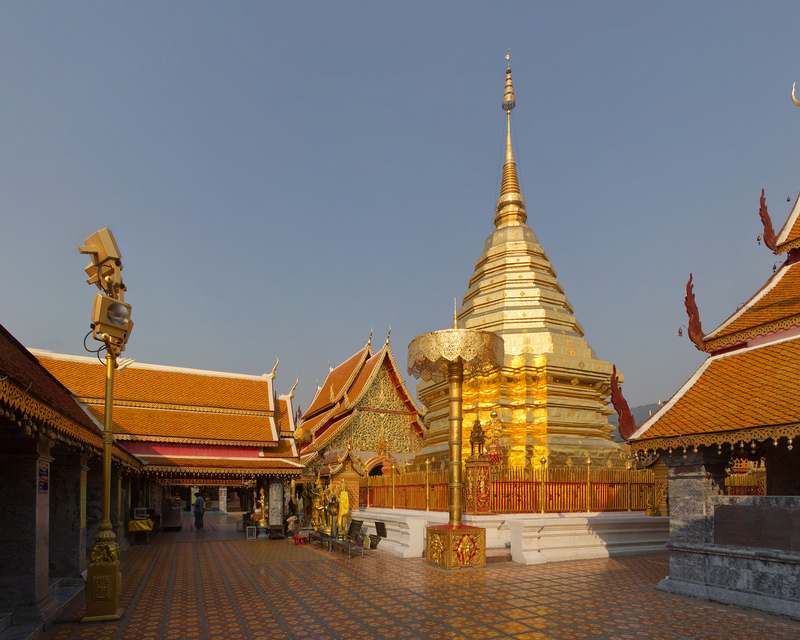 Chiang Mai is located in northern Thailand, on mountainous terrain. Ping River that is also a tributary of the Chao Phraya River, flows through this religious city of Thailand. The Buddhist temples in Thailand differ a lot when compared to the Buddhist temples of Tibet, China, Nepal, and Bhutan. I think the Thai temples of Buddha carry an influence of Hindu temples of Indonesia. Though Thai cuisine is predominantly non-vegetarian, there are quite a few vegetarian restaurants too exist in every city of Thailand. In Chiang Mai city, more than 6 restaurants serve vegetarian food. Ask around for Bodhi Tree café or Amrita Garden that are known to provide very good Thai vegetarian food. Yes, it is grand indeed! What a beautiful palace where the past kings and their families stayed till about 95 years ago! 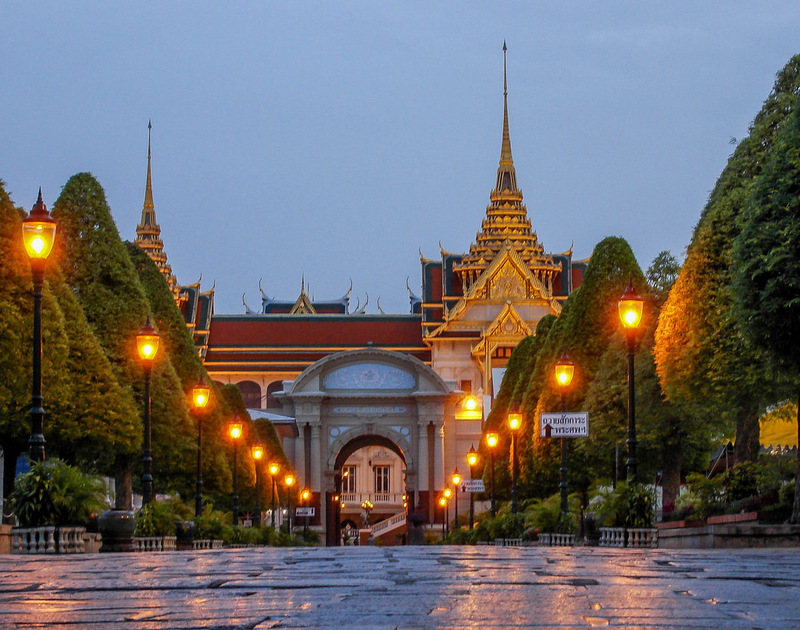 Naturally, such a grandiose place is one of the biggest attractions in Bangkok. Inside the building complex, there are numerous buildings such as the royal court, residences of the royal members, pavilions where events were held, and so on. The biggest attraction inside the Royal Grand Palace is the temple of Emerald Buddha, the most revered temple for the Buddhism followers. The temple is the center of several festivals celebrated in a year. Tourists and the local residents of Thailand rush towards this stunning-looking waterfall as soon as they enter the Doi Inthanon National Park that is located in the Chiang Mai province in Thailand. The biggest attraction in this beautiful national park is the ‘Green-tailed Sunbird’. Of course, it cannot be spotted as easily as the waterfall; you should be lucky to see this multi-colored bird that moves swiftly from branch to branch on the numerous trees in the park. 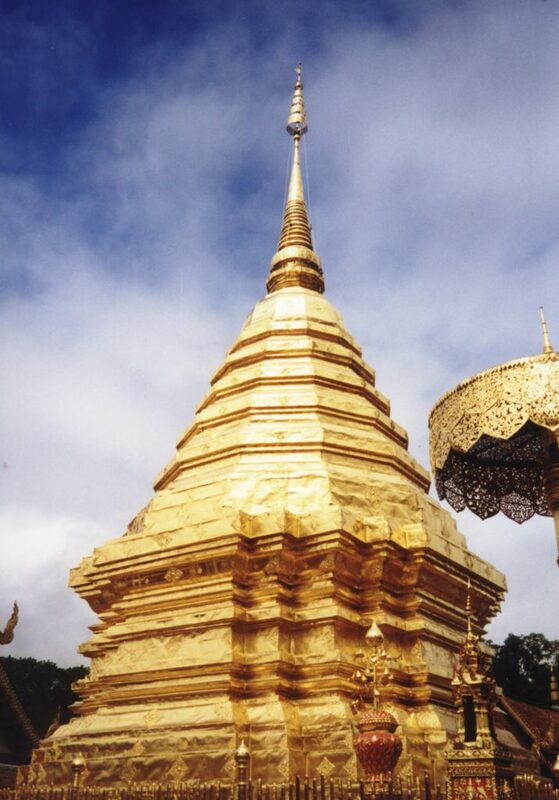 Thailand’s highest mountain is Doi Inthanon is part of this same named national park. 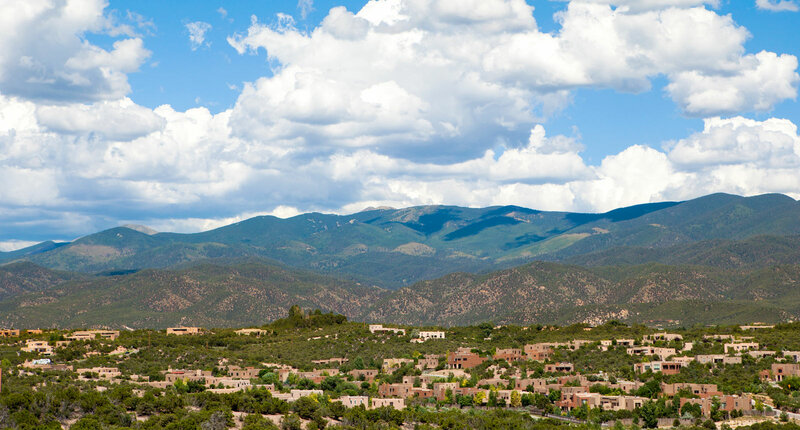 The mountain’s peak is at 8400 feet! 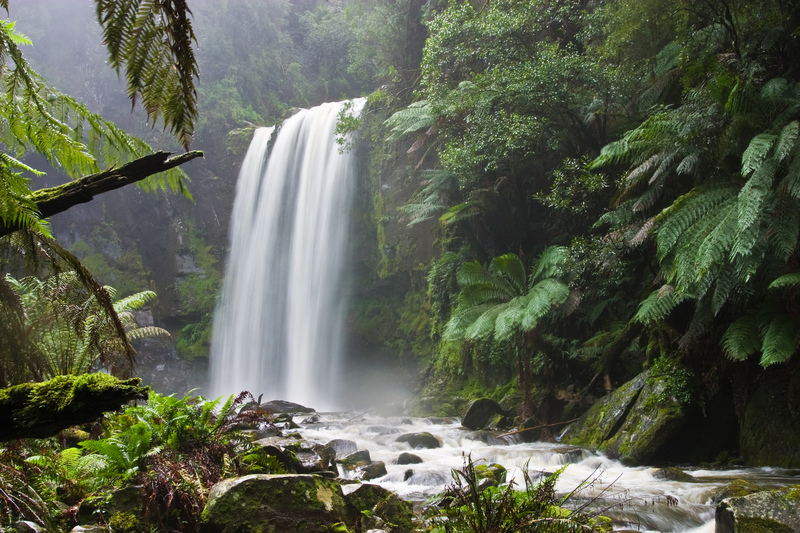 There are great pine trees and hidden waterfalls that resemble waterfalls that we see in tropical rainforests. There are no wild animals in this Thai attraction but the reptiles and amphibian species would make a zoology student busy in capturing photos of them in close quarters. 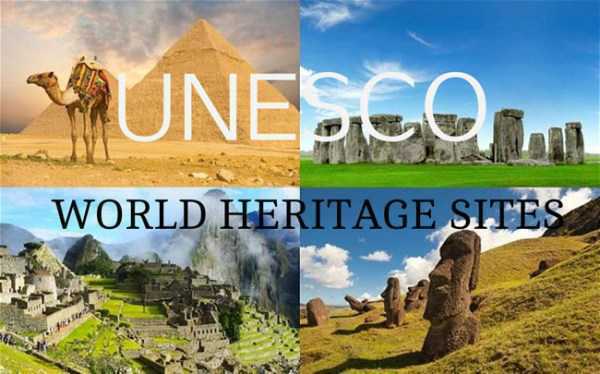 This sightseeing attraction in Thailand is all about a historical temple complex of which some are declared as UNESCO World Heritage Sites.. 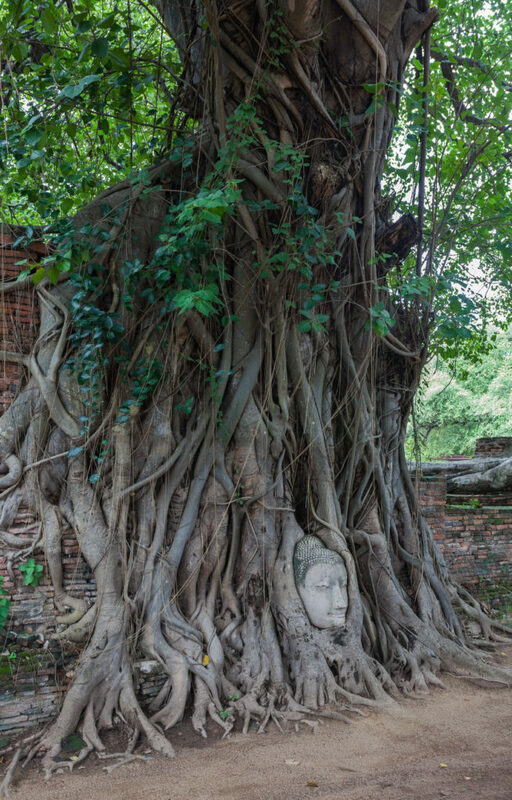 Inside the vast ruins, there are several Buddha temples that are looked upon with reverence by the Thais. Every Buddha temple was built in the typical Thai architecture that is absolutely unique among other Buddhist temples in several Asian countries. I think you can guess what is in store for you at Chiang Dao town from the image above. This is one more Thai attraction located in Chiang Mai district in the Northern Thailand region. Does it seem Northern Thailand has more sightseeing attractions than its southern counterpart-eh? The mountains are thickly covered with forests inviting ardent trekkers who simply love forest walk. As the walkers foray a little deep in the jungles, they will come across cave tunnels, waterfalls, and natural hot mineral springs. Due to its distance from the center of Chiang Mai, not many people care to visit this scenic and quiet place. Aren’t they missing something beautiful? What else can you see and do in Chiang Dao, Thailand? Menam Ping Gorge is a scenic place offering breathtaking views of the Doi Chiang Dao Mountain. Trek up to the 7100-feet peak of Chiang Dao mountain. 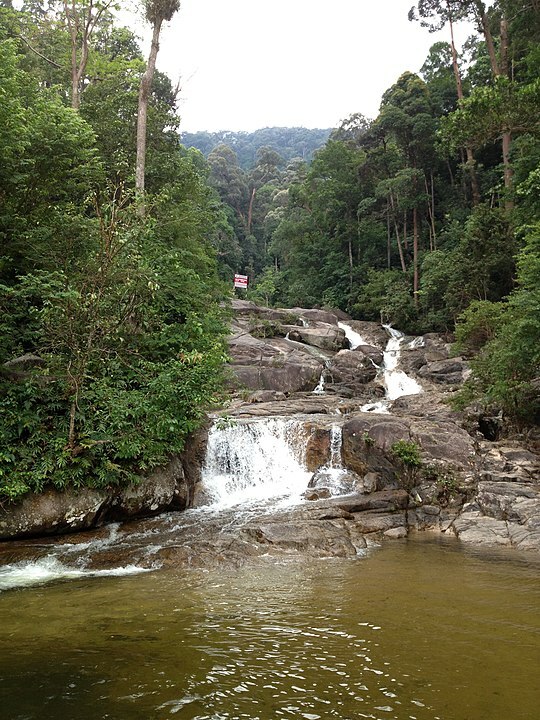 Explore leisurely the Chiang Dao National Park. You will let out a loud gasp the moment you see the Chiang Dao mountain is covered with dreamy fog, almost perennially. In addition, the heat and humidity of Thailand are replaced by clean air that is cool too. Bird watching can be a pleasant pastime in Chiang Dao. 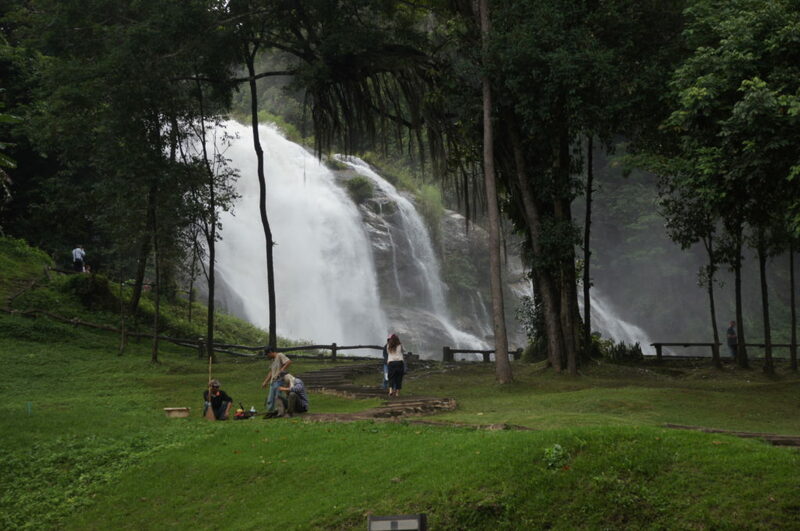 Natural Geysers are present in Chiang Dao National Park. Very few people are seen taking a dip in one of the several hot water springs. Natural hot water springs are a big gift to us by nature. They are exclusively created for us and for no other purpose. Stay in a tent in San Phakia Mountain. It will be a lifetime experience to stay in a tent on a mountain top with terrific views. Roam around the Dao Wildlife Reserve area. On any island, if there is a mountain that sits right on the fringes of the beach, will look like a true tropical island where you can enjoy the beach and see marine life and also explore the mountains and the jungles that adorn the hills. The whole area is absolutely picturesque when an island has a mountainous backdrop. The Similan Islands archipelago is located on the Andaman Sea. 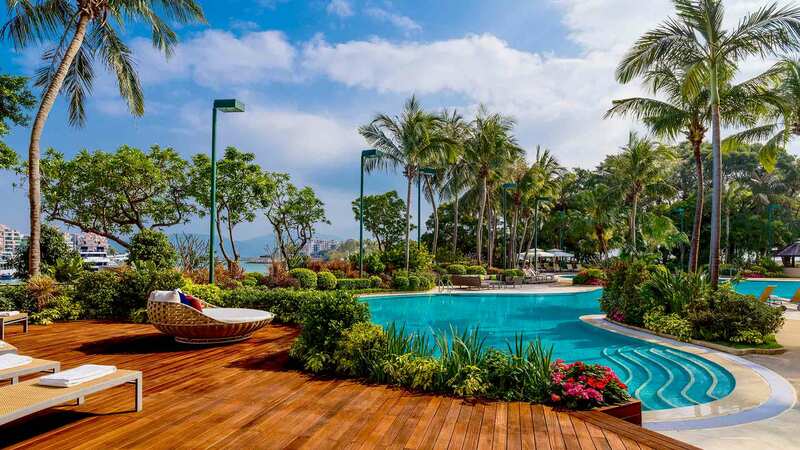 These off-the-coast Thai attractions are all located in the southern part of Thailand. 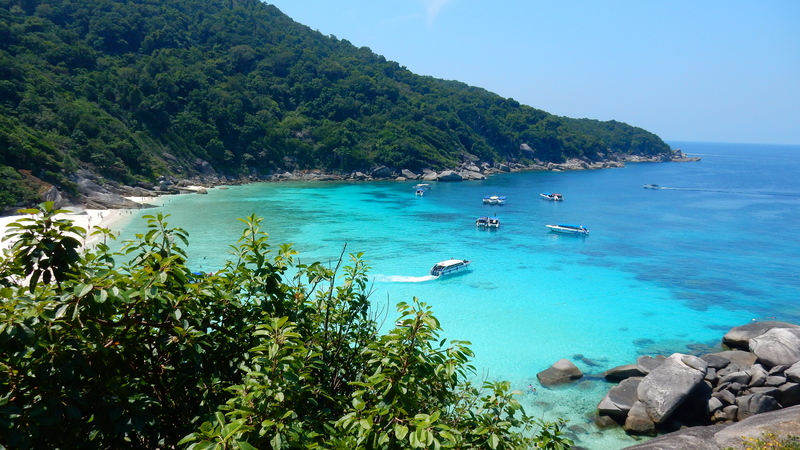 The Similan Island itself is a national park known as ‘Mu Ko Similan’. There are several world-class diving spots on the Similan Islands and as such, the avid scuba divers get an opportunity to visit all the surrounding islands in the Andaman Sea. Scuba divers love the sight of coral reefs and big rocks that lie on the sea bed. I wonder what the rocks are doing there; in fact, you should ask me how the rocks got under the water in the first place. Pai town sits amidst a valley and a river with the same name. Hot springs and waterfalls dot the landscape. Nature lovers travel a long way to reach Pai, just to see unpolluted nature. In addition, they are lured by the food scene of this small hilly town where they taste the lesser known Yunnan Cuisine. If you want to cool your heels as an escape from sweltering Bangkok, Pai is the best place to go in Thailand. The floating markets in Thailand are as famous as the Buddha temples. You would probably want to hop on to a rowboat and see the floating market on your second day in Thailand, if not the first day. 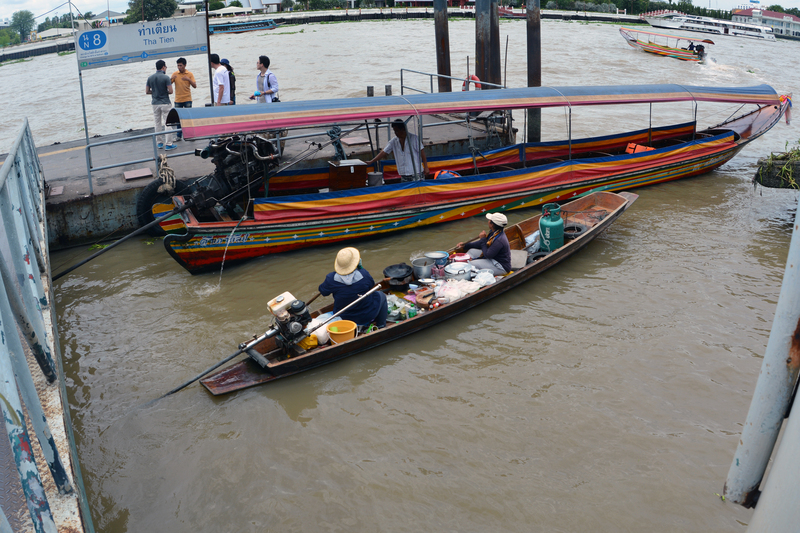 See how the tourists, mostly the South Asians buy things sitting from their boat itself. Wow! That would be a pleasant experience. I am sure you would be smiling all through the evening while riding on a boat. Damnoen Saduak Floating Market is definitely far away from the Thai capital Bangkok at a 100 km away. The vegetables, fruits, and flowers in big baskets light the whole scene. Don’t assume these floating markets are to be seen only in the evenings. Vendors start displaying their wares and shouting through a megaphone attracting your attention as early as 9 am. Wow!. That looks like a fjord to me. Kho Phi Phi is an archipelago located close to the Phuket Island, on the Strait of Malacca. Did you notice the water on the sea is absolutely still making it viable to swim, snorkel, and boat ride? Kho Phi Phi islands would be definitely on the Thailand tour itinerary. The nightlife here is dynamic and lasting till dawn. But then, all over Thailand, the nightlife is the utmost attraction for the tourists. The drinks and the massage parlors are present in Kho Phi Phi Island also. You will see these kinds of rock towers in this part of the world. These are limestone rocks formed naturally millions of years ago. The Khao Sak National Park’s sightseeing attractions in Thailand are so much so that you will have to spend a whole day here provided you enter the park as soon as the entry time allows you in. Can you believe it is a manmade lake? 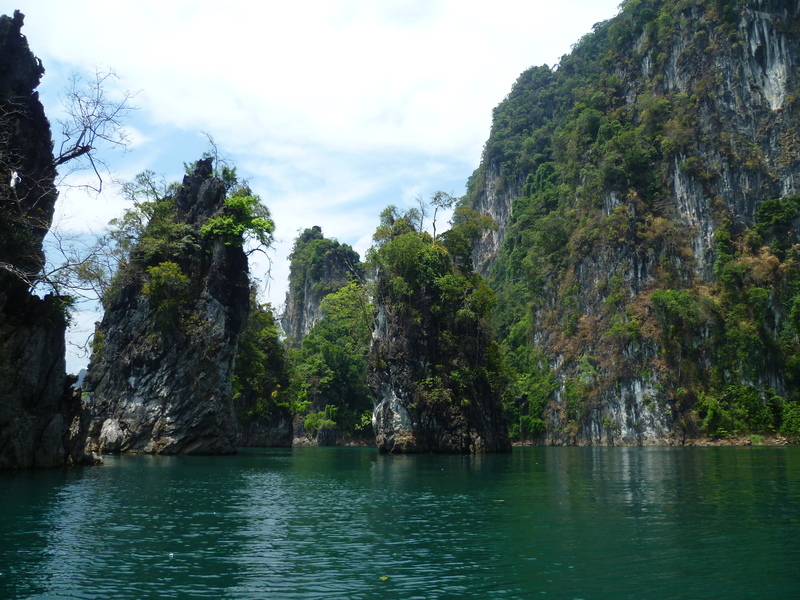 Yes, it is an artificial lake and is quite large occupying an area of 185 sq.km Its name is Cheow Lan Lake and it is part of the Khao Sok National Park, a highly protected nature reserve. 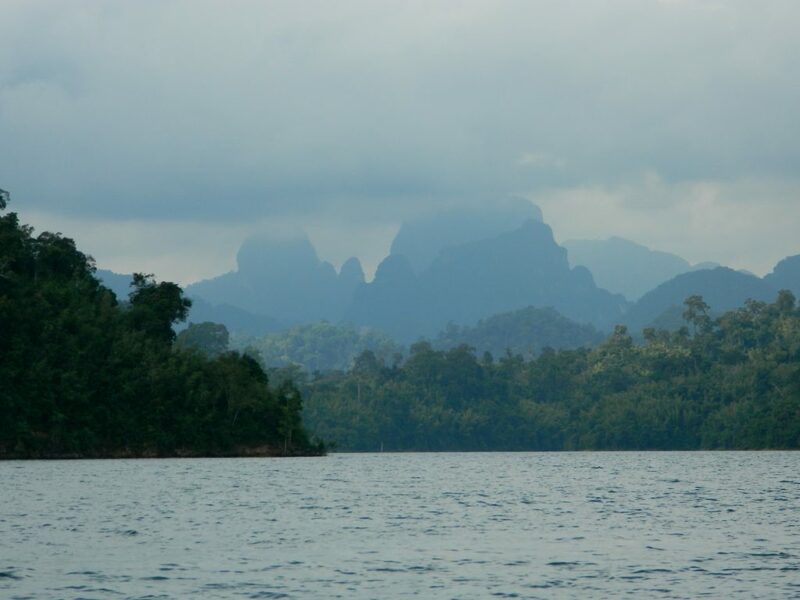 What can you see in the Khao Sok National Park? Fauna in Khao Sak National Park. The most attractive bird that you can spot is the Hornbill. Quite a lot of gibbons are also enjoying the fruits of the forest. 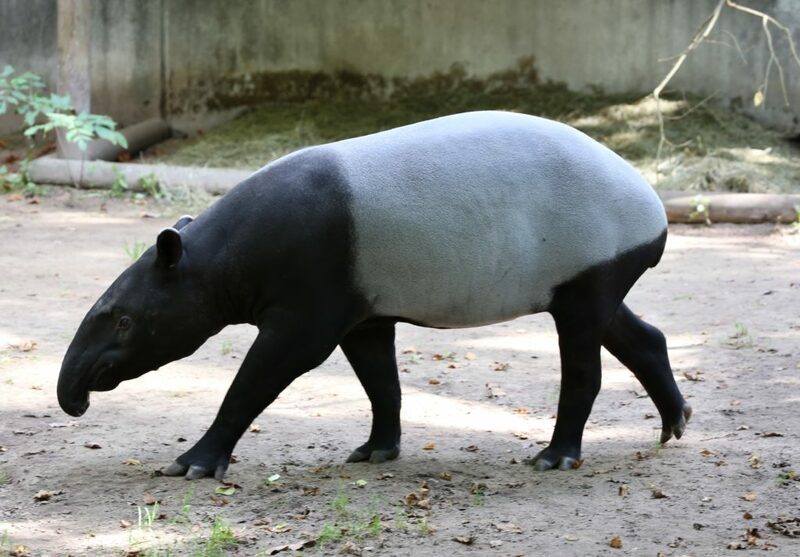 The rare Malayan Tapir will run past you in a jiffy. 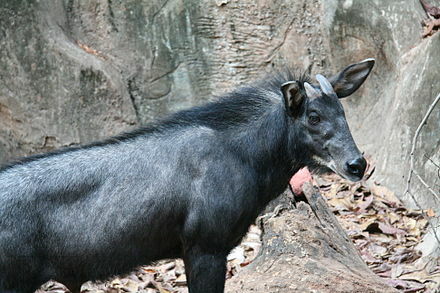 Another rare mammal that you can spot in Thailand’s National Parks is ‘Serow’. It looks like a combination of horse, deer, and goat. I am positive the majority of you have not seen or heard about this wild animal before. The famous Asian elephant safari is offered in Khao Sak National Park, Thailand. You will really enjoy going around this lush green forest on an elephant. Going fast on a raft built with bamboo poles on a tropical river is the ultimate adventure. Explore the caves if you are brave though there is nothing inside to be afraid of. Do you think you can afford to return to your home town without seeing this white building that is actually not a temple but an art gallery of a single person? 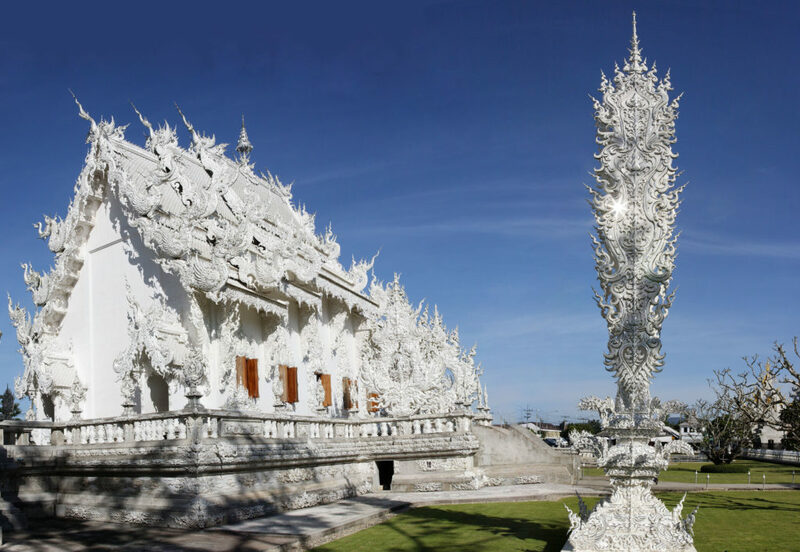 The architecture of Chiang Rai’s Wat Rong Kun is certainly unique and so unlike a Thai building. The White Temple’s design, the bridge, symbols, and statues have some deep spiritual and soul searching messages. A well-read Buddhist monk might be able to explain all the hidden meanings and messages to you. 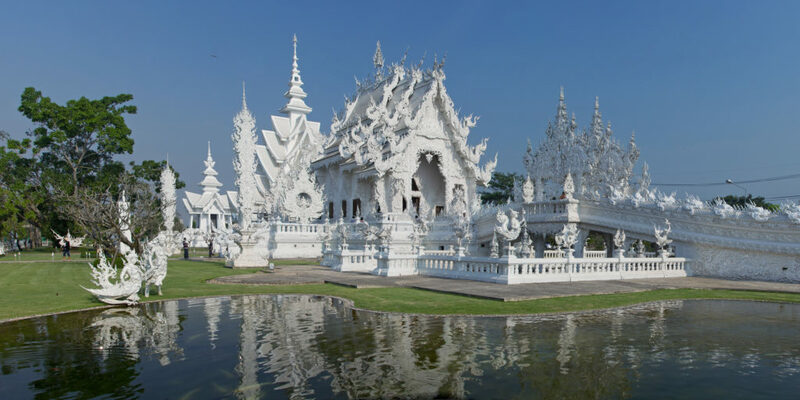 Nonetheless, the White Temple in Chiang Rai province in Thailand is an important sightseeing place. This is how the Erawan forest will look like. OMG! The Sun is totally blocked by the trees that stay close to each other like a family member. A large national park in Thailand, occupying an area of over 500 sq.km is a typical Thai forest, humid and hot, teeming with scary-looking insects including leeches. The famous River Kwai flows through the Erawan National Park. 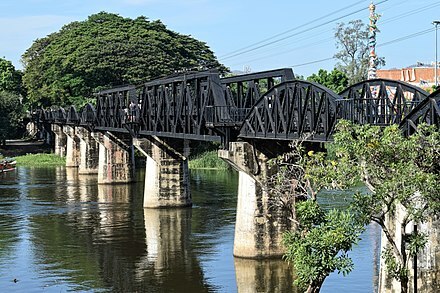 Is that the famous ‘Bridge on the River Kwai’ connecting Thailand and Burma? 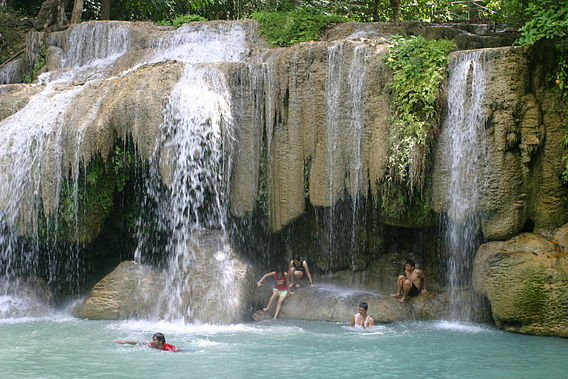 The Erawan National Park is located on the Tenasserim Hills, a lengthy mountain range that runs for 1700 km. So, how did you like the tourist attractions of Thailand presented in this article? Do you feel like inquiring if I can reveal a few more sightseeing places in Thailand? Yes, I can but maybe in another post, another time.